While the word “therapist” might conjure up images of either an armchair in a quiet office, or treadmills in a clinic, recreational therapists actual work settings may include theaters, athletic fields, and swimming pools. Recreational therapists plan and coordinate recreation-based treatment programs for people with disabilities, injuries, or illnesses. They use activities, such as drama and dance or sports and community outings, to improve a patient’s well-being. Their efforts help people reduce symptoms like depression and anxiety, and improve physical and mental abilities. Recreational therapists lead active lives— often meeting with clients at different locations. 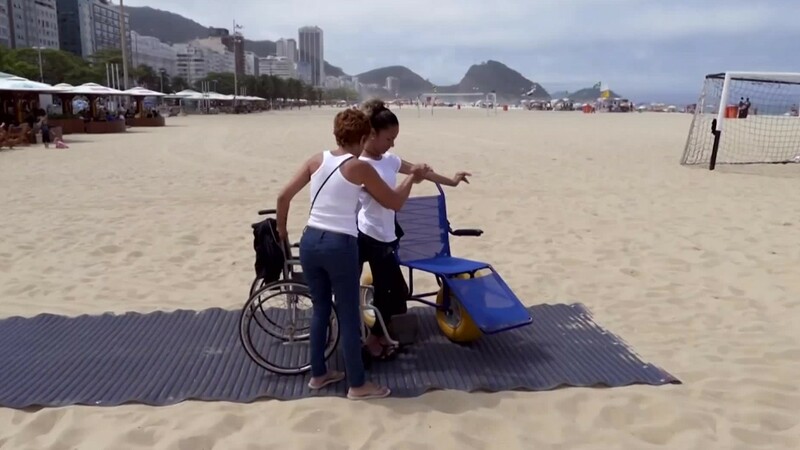 They lift heavy objects such as wheelchairs, and often physically assist patients. Treating patients with long-term, or complicated conditions takes resourcefulness, patience and above all— good communication skills. The difficulties their patients experience can sometimes weigh heavily on these therapists; they must be both compassionate and resilient. Recreational therapists are employed by hospitals, nursing homes, rehab centers, substance abuse treatment facilities, and parks and recreation departments. You will need a bachelor’s degree in recreational therapy or a related field to enter this career. Many employers prefer to hire candidates with a certification. Providing their clients the opportunity to live with greater enjoyment and well-being is one of the meaningful rewards of being a recreational therapist. See more details at O*NET OnLine about recreational therapists. Recreational Therapists by U.S. Department of Labor, Employment and Training Administration is licensed under a Creative Commons Attribution 4.0 International License.